The farm work and handcrafts, which have been continuously in production in the past forty years, include rice growing; infant shoes and cotton gloves making; clothes processing; wood board carving; gloves sewing; Chrysanthemum planting; pottery making; and the current stable source of income ─ making Job’s Tears Bean Powder, candles, etc., totaling more than twenty-one kinds of work. The living expenses of the residents in the Abode are clearly separated from the donations received from donors all over the world. 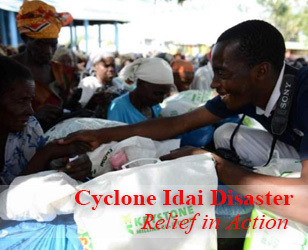 All donations are remitted to the Tzu Chi Foundation to help the poor and the suffering people. The Abode residents (Buddhist nuns) not only earn their own living but also provide locations, office necessities, and accommodations for the foundation colleagues. They themselves are also the practitioners and spiritual leaders of the Tzu Chi Four Main Missions: Charity, Medicine, Education, and Humanistic Culture. The Abode residents will continue their compassion vows and devote themselves to aiding all sentient beings. 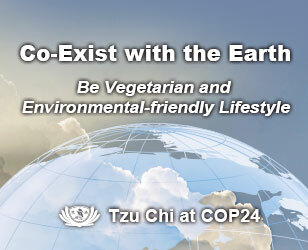 Today, the Tzu Chi Jing Si Abode is the spiritual home for all Tzu Chi members. 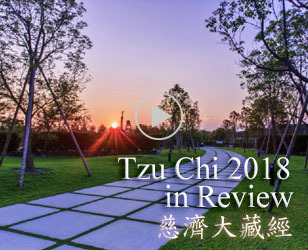 Tzu Chi volunteers all over the world return to this spiritual hometown annually to seek for advancement in spiritual cultivation as well as purification of the soul.